Love can feel wonderful. But we also know too well the pain of love. What begins as deep and meaningful, can sometimes turn ugly and destructive. 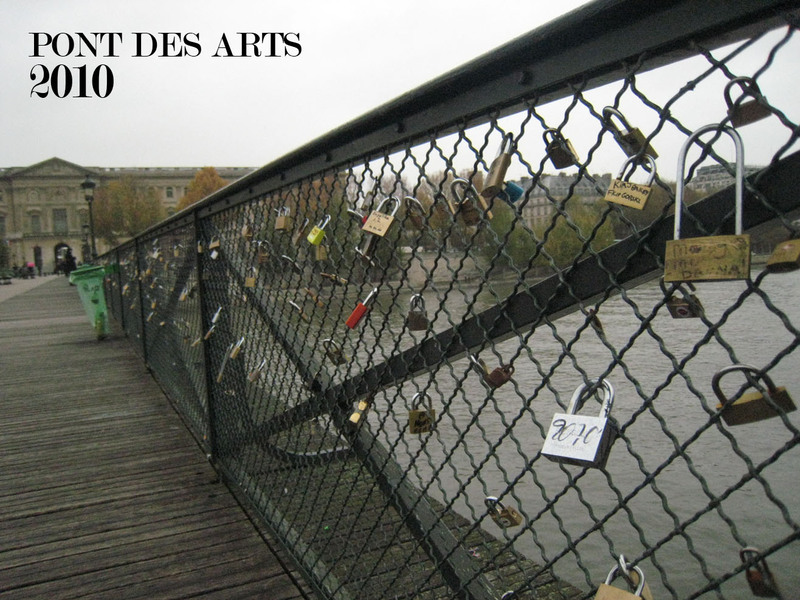 Just ask the Pont des Arts. 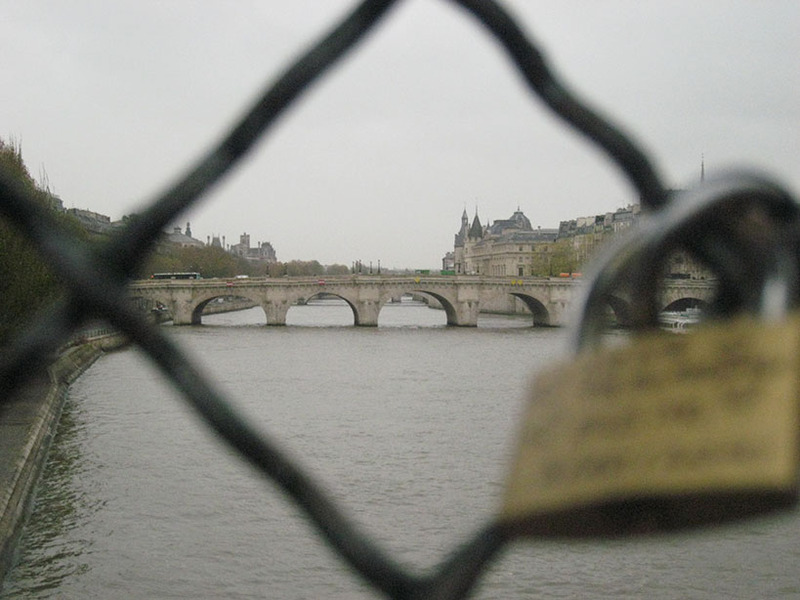 In 2008, inscribed locks started to appear on the wire meshing of the Pont des Arts in Paris, also known as the Passerelle des Arts, which spans the Seine between the Institut de France and the Louvre. 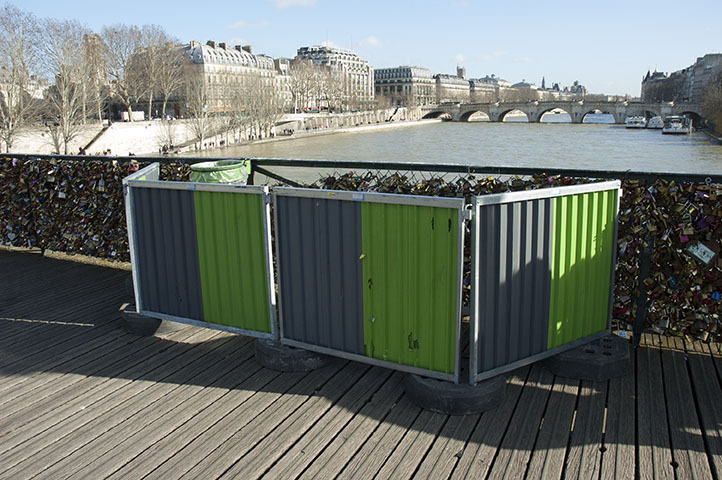 This elegant pedestrian bridge—originally commissioned by Napoleon I in 1802—has become a symbol for lovers who have taken to fastening Love Locks to her sides. 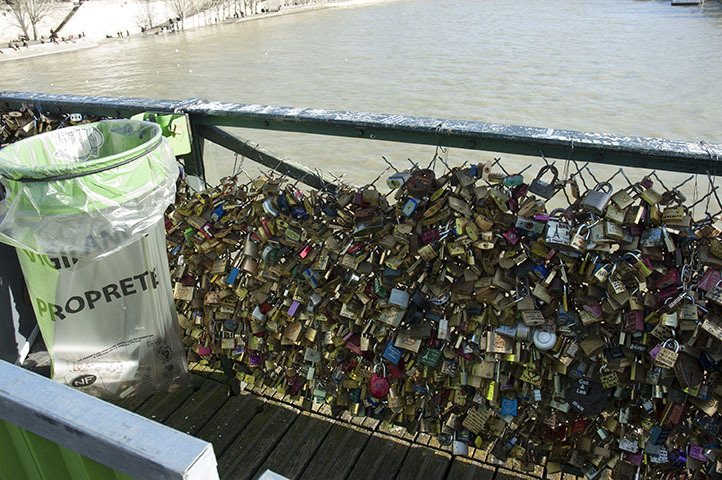 At first, there were just a few locks—sweet, touching tokens that some could argue added to the beauty of the bridge. Even I was moved to snap some photos of the phenomenon back then (seen here), and in 2011, considered putting my own lock on the bridge to honor my mother who died of breast cancer that year. Damage from the weight of your love. A protective barrier installed around a damaged section of the bridge. When love turns ugly. SIGN OUR PETITION AND STOP THE DAMAGE TO OUR BRIDGES.